Dr. Phil Rich specializes in the assessment and treatment of children and adolescents with sexual behavior problems, including sexually reactive pre-adolescent children and sexually abusive adolescents (males), and the design, development, and operation of specialized treatment programs and facilities that serve this population. 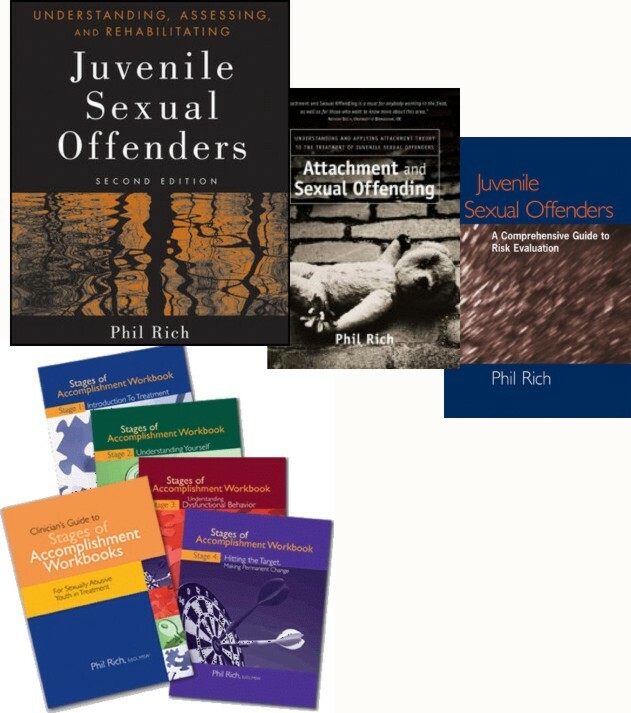 Phil has published a number of books that address work with sexually abusive youth and consults and trains nationally and internationally. He provides specialized training and professional development for staff at every level and consultation to programs, organizations, and agencies that provide, administer, or oversee services for sexually abusive youth. Phil trains throughout the year, at conferences or upon invitation to organizations. Contact Phil directly to learn more about these trainings. This link shows on-line full-day webinars hosted by TZK Seminars on a standard and regular basis. To view Phil's books and other publications, including ordering information, click here. ​abusive or sexually troubled behavior.